Happy Monday!! Back to my summer uniform for work today. 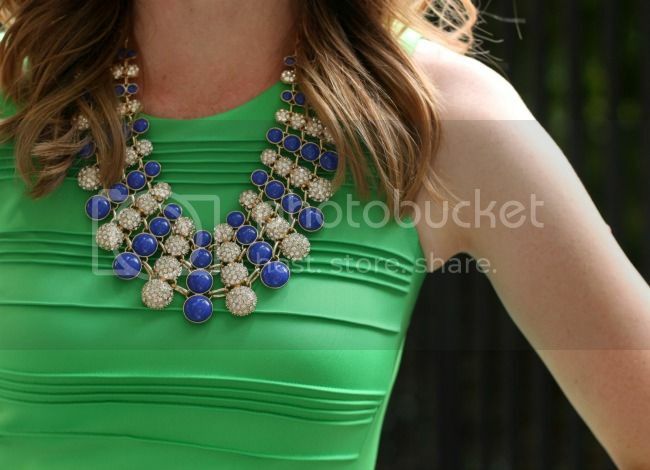 A simple dress paired with a statement necklace. This combo has proven to be no-fail when it's really hot outside and when I'm running late for work (I'm really never late to anything...). 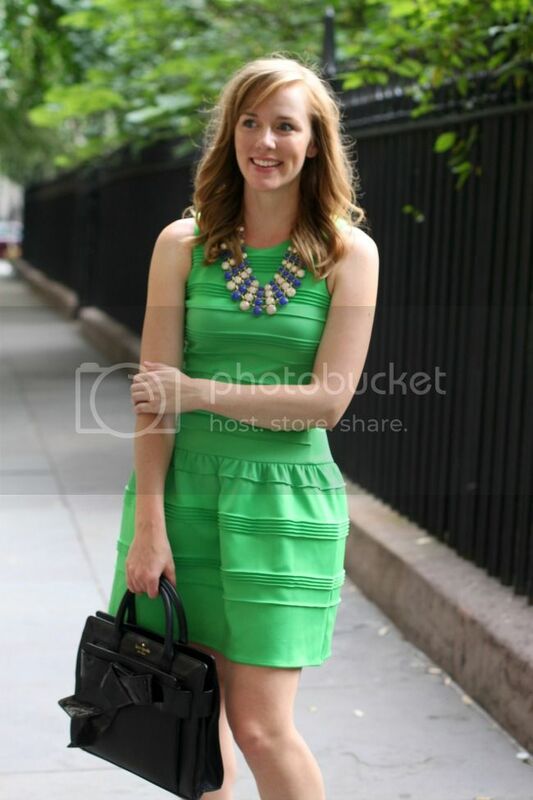 I also really love the pop of color with this dress and the "scuba" fabric is really fun! Thank you Nordstrom Rack for the steal. LOVE this dress on you! Green looks so pretty on you! And I think I need those pumps! Lookin' good lady! That dress is such a cutie! I love love love this color combo! AND if you're ever ready to part with this Kate, my Paypal is ready!!! �� I wish we could wear sleeveless to work. So chic! Love your posts!